A couple of weeks ago, by some happy coincidence, I found myself reading two thrillers set in post-war Germany back to back. 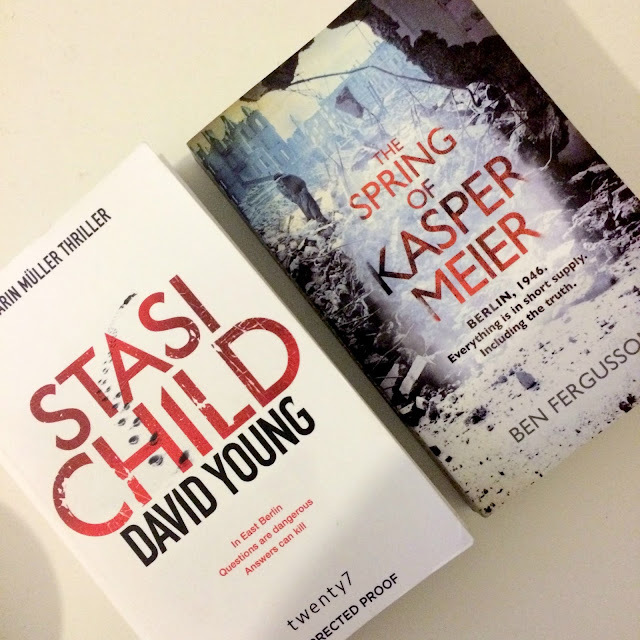 One was Stasi Child by David Young, set in Communist East Berlin around the time of the wall, and the other was The Spring of Kasper Meier by Ben Fergusson, set in the years immediately after the war. Both are fantastic and engrossing novels which seamlessly blend history with a thrilling plot. It's never happened before that I've ended up reading two books on a similar topic in a row (oddly, perhaps, given my interests), but it's certainly something I would repeat. It was fascinating to dive deeper into post-war Germany and experience through words the changes the country went through and how its people lived. Stasi Child is the first in the Oberleutnant Karin Muller series and sets it off to a promising start. Muller is called to investigate a teenage girl's murder at the foot of the Berlin Wall; the murder doesn't seem too unusual at first until the arrival of the Stasi suggests more sinister undertones. 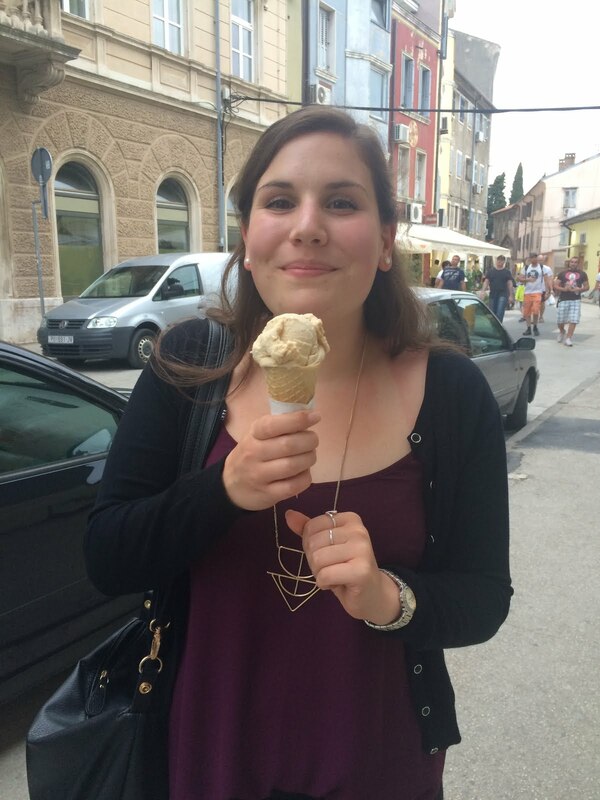 Karin Muller is an excellently portrayed character. She's a relatively high-ranking female police officer with a male deputy and a husband who strays a little too far from the laws of the East. She's tenacious and sometimes unexpectedly harsh, but ultimately she is a character you root for. I was particularly pleased that Young created a plausible backstory for her which merged seamlessly into the central plot. Stasi Child is a dark novel and sometimes quite unsettling, but it is compelling nonetheless. Whilst reading The Spring of Kasper Meier I found myself thinking back to Young's novel and comparing the characters' various experiences in relation to the period they lived in. 1970s East Berlin didn't seem too far from late 1940s Berlin. The Spring of Kasper Meier is set in the ravaged remains of Berlin and follows Kasper as he tries to make a living from the black market. The arrival of a young woman asking him to find a British pilot triggers a series of events that draw Meier deeper and deeper into a dark and dangerous underground operation. Like Stasi Child this is a dark and unsettling novel. There's no quirky and upbeat character to add some cheer, instead Fergusson has written very real characters who are products of their circumstances. In amongst all that darkness, however, are moments of true hope and, almost, happiness. I was completely drawn in by the relationship between Kasper and Eve and they both stuck in my mind long beyond the final page. In both these novels it is the characters which really stood out for me. Regardless of characterisation however, a good thriller is never complete without atmosphere. It seems a copout for me to keep referring to both novels as dark and unsettling, but that is also the most fitting description. Whilst The Spring of Kasper Meier ends on a high note, Stasi Child continues until the darkness seeps out of the pages. I'm glad of this distinction because it leaves me wanting to find some glimmer of hope in Karin Muller's life. Something that made my personal reading experience of these two novels even more immersive is the knowledge of Berlin I gained during my trip in the summer. I stayed in east Berlin and explored many of the areas mentioned in Stasi Child so I could picture quite clearly the streets and routes the detectives walked. Similarly in The Spring of Kasper Meier, the bombed out church at the bottom of the Ku'damm features and I can clearly recall walking past it one evening. It felt like it added an extra level of meaning each time I recognised a place name and could orientate myself. I would recommend both these novels for quite different reasons. Stasi Child is a fast paced thriller with memorable characters and has the potential to be a compelling series. The Spring of Kasper Meier on the other hand is one to be savoured. Although the plot moves along apace, it's the lyricism of Fergusson's writing which is the real winner. The Spring of Kasper Meier is on the shortlist for the Young Writer of the Year Award and Stasi Child is currently available in ebook and is due for paperback release in February 2016. I received both of these books free of charge in exchange for a review, but that in no way influenced my opinion. Thanks to the publishers for the review copies.